The Rotary Club of the Conwy Valley was chartered (officially formed) on the 16th October 1946 which makes us 72 years old this year. 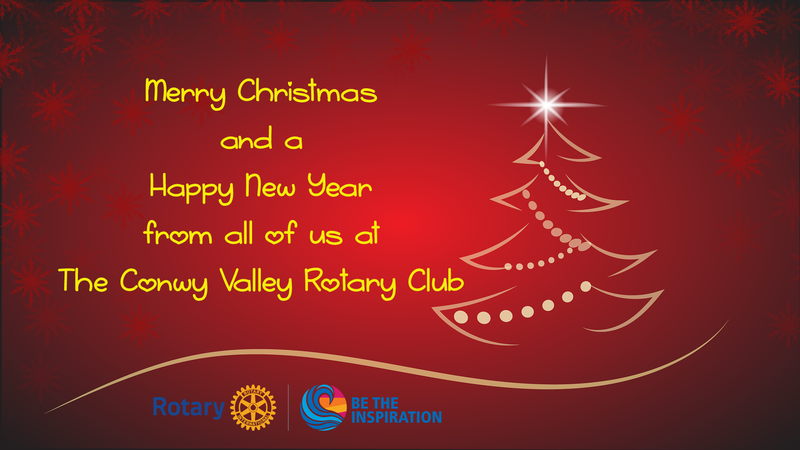 We were formerly known as the Rotary Club of Llanrwst and Trefriw and have supported the local communities since we were founded. We are a mixed dynamic club of 18 members who dedicate our spare time and energies into helping the community where we live and work in the Conwy Valley area of North Wales. 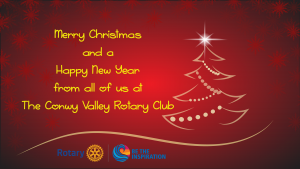 Although it can be hard work arranging some of our events and collecting funds for local and international good causes, we have fun doing so and also enjoy networking both within the club and with members of other local Rotary clubs. As you can imagine, with only 18 members we are always looking for help with our events, and even new members. Why not come along to our meetings at the Maenan Abbey Hotel on Monday evenings from 7pm onwards and find out more about us, with no commitment? The details of our meetings are at the bottom of this page and the list of meetings are on the upcoming calendar elsewhere on this page or the club calendar on the menu at the top of the page. In the mean time why not read our presidents message? You will be given a warm welcome and, who knows, may even enjoy yourself ! “Today I’m going to make a difference” . I’m not rich so I give what I can my time and just to be part of a group of guys and girls that do so much for the Valley without thinking of themselves gives me a sense of achievement .